It’s almost baby time! 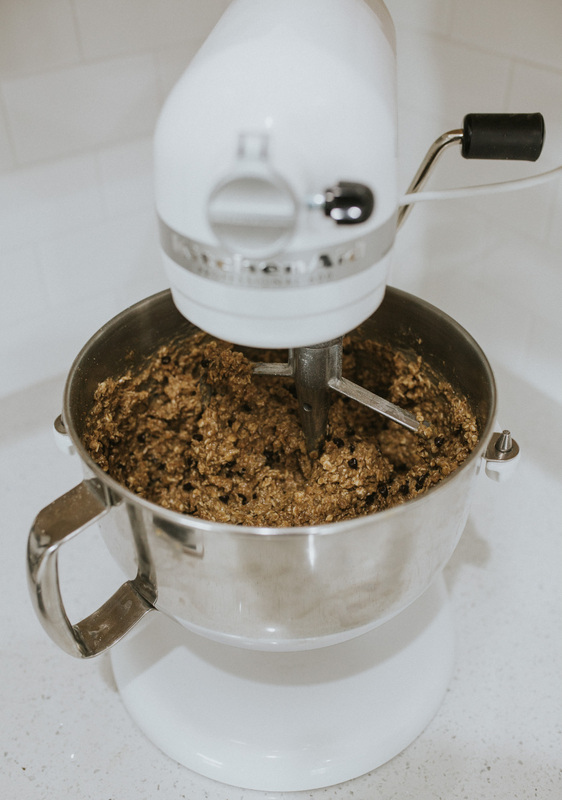 You know what that means – freezer meal preparing and lactation cookie baking is in full effect. 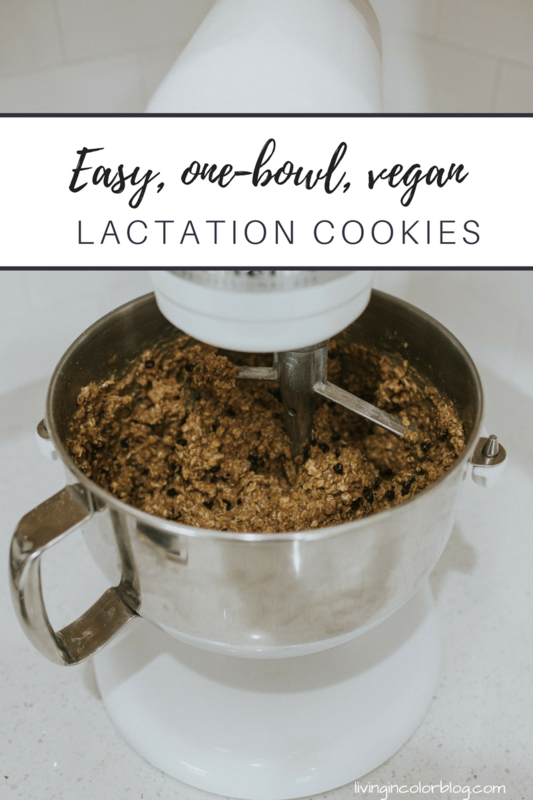 I had a rough time finding the perfect recipe for vegan lactation cookies so I decided to create my own! 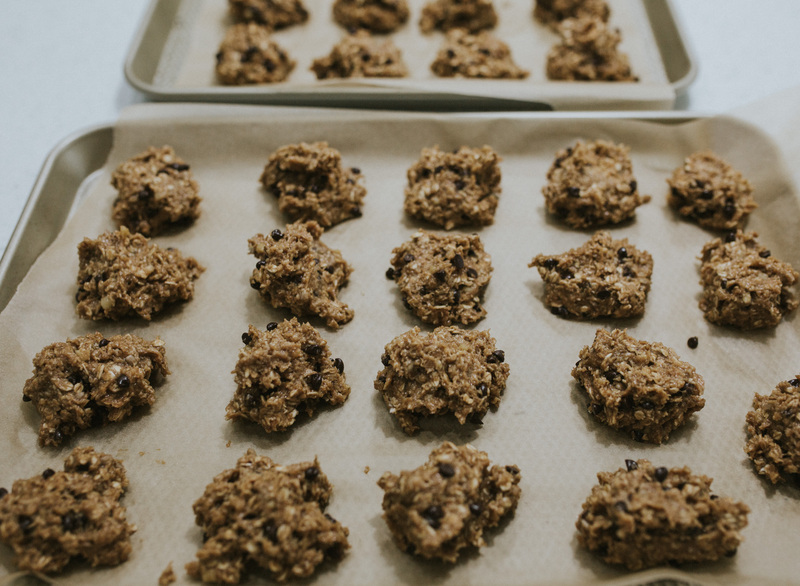 These cookies are super simple and healthy since they’re refined sugar free (minus the chocolate chips). So keep reading to find out how to make them in about 25 minutes start to finish! 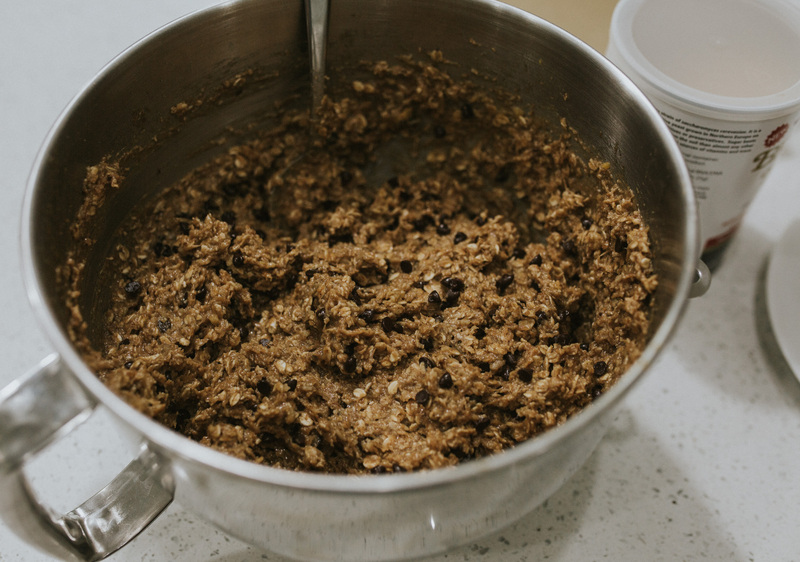 What makes these lactation cookies anyway? 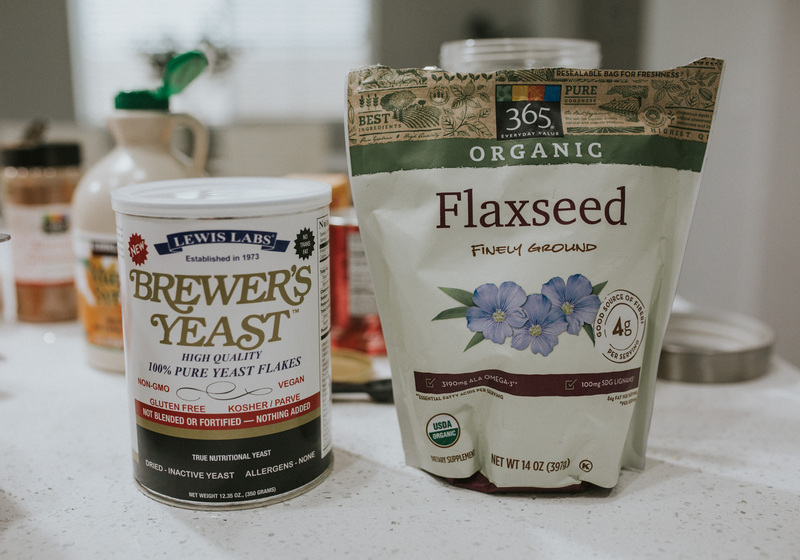 Well, the oats, brewer’s yeast, and flaxseed are shown to be beneficial to helping moms get breast milk production going. I ate them my first time giving birth and afterwards and my supply was amazing! 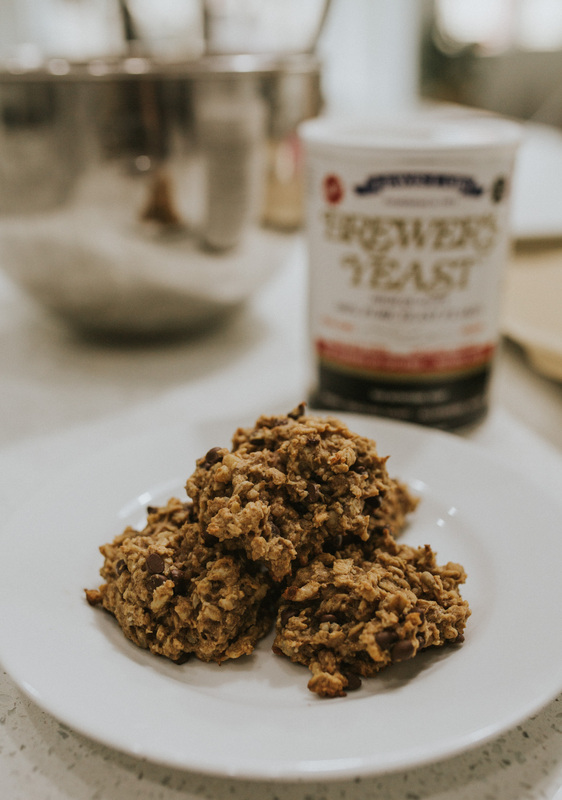 I make these cookies without the brewer’s yeast and flax meal for my husband and Gracie. (Though it’s perfectly fine for them to eat those products too.) They adore them and I feel good about my daughter eating them since they are free of refined sugar! Plus, with the added protein of peanut butter and the seeds and nuts, it’s pretty nutritious! Mash bananas in large mixing bowl. Add the rest of the wet ingredients. Add pumpkin, maple syrup, and peanut butter to the mashed bananas. 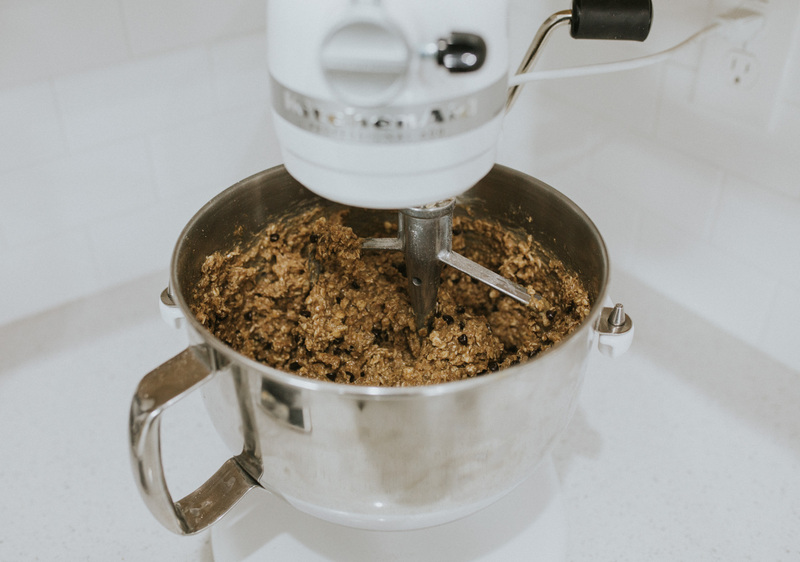 Optional: Grind your oats in food processor or Vitamix for oat flour. 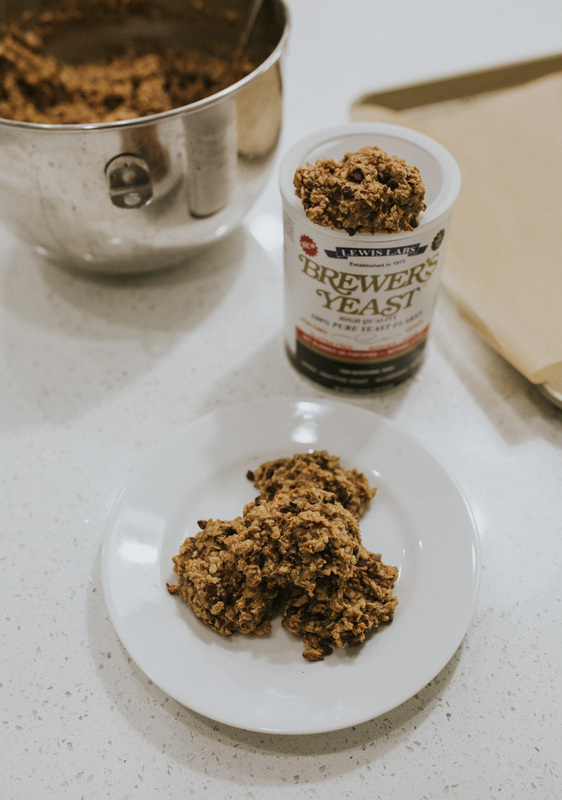 It’s a super easy way to make the cookie “flourless” and I personally think it tastes better with the oat flour vs. all-purpose! If gluten-free, sub gf oats. Add your dry ingredients to the bowl. I add them in this order: oats + oat flour, flax meal, brewer’s yeast, baking soda, baking powder, salt, cinnamon. Spoon dough onto baking sheets lined with parchment paper or baking mats. You should have about 40 cookies, give or take. Bake at 350° F for 15 minutes. When done, transfer to a cooling rack, and let them cool for an additional 5 minutes before serving. Tip: These store well in the fridge, and they can be frozen for a long time to keep for when baby comes! I made a giant batch of 60 for when baby is here so I can eat 1-2 a day on or around my due date and into the first few weeks of breastfeeding! 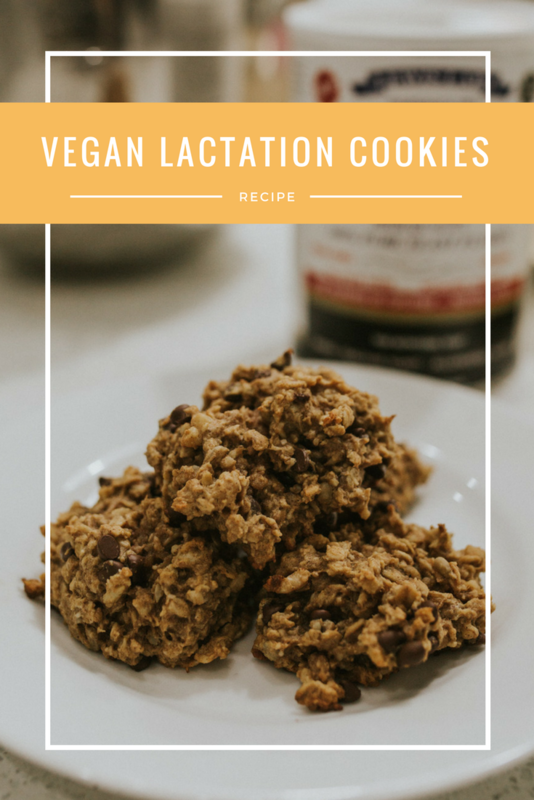 I hope you enjoyed this vegan lactation cookies recipe! 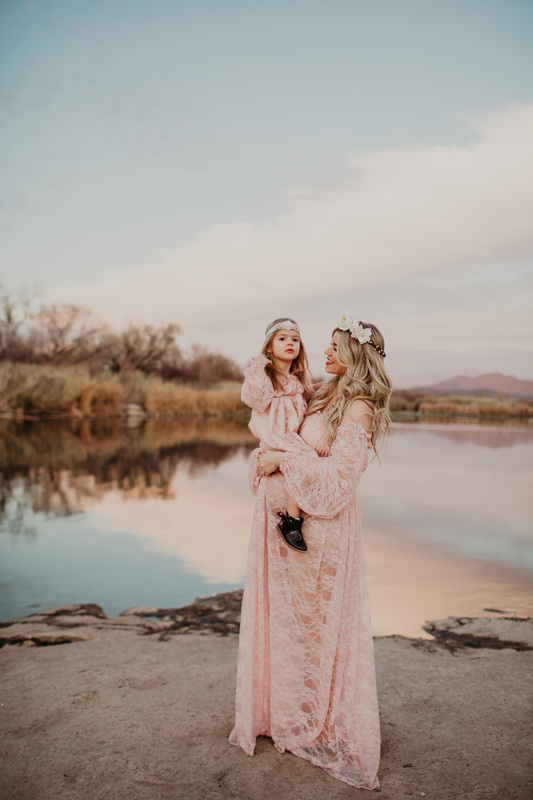 If you did enjoy it, please consider pinning one of the images below so other moms can find it and enjoy it too!